Founded in 1922 by Mr. and Mrs. J.O. 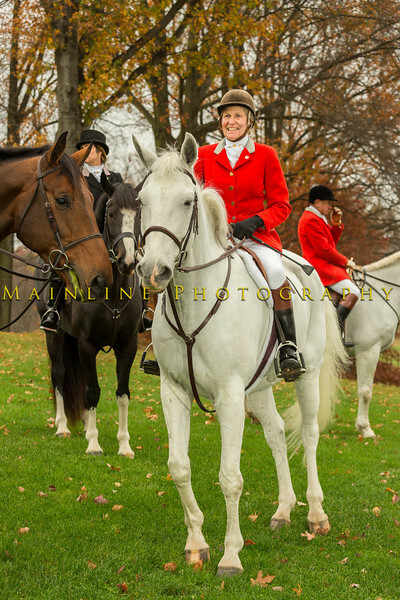 Burgwin, the Sewickley Hunt is the thirty sixth oldest active hunt in the United States. To foxhunt is to experience a sport that is not only exhilarating, but also rich in history and steeped in tradition dating back to 16th century England. The early foxhunters did so as a means of controlling the fox population that the farmers viewed as vermin. George Washington was said to have been an avid foxhunter. The earliest record of any hunting in Sewickley dates to 1897 when a field of fifty rode over an eight mile drag course on the McKean Shooting Club grounds. The hunt was incorporated in 1957. In the early 1960's Interstate 79 was proposed which ultimately cut the hunting territory in half. Despite the continuing loss of country as a result of development, the Sewickley Hunt still manages to provide its members with good sport in large part because it is a drag hunt. "People hunt for various motives - some for their love of the thing - some for show - some for fashion - some for health - some for appetites - some for coffee - housing - some to say they have hunted - and some because of the hunt." Go to http://www.sewickleyhuntclub.com/ for more information.